How to pack cleaning products with creativity and functionality? We started analizing several important aspects, such as target profile, competitors display in points of sale and aspects related to packaging. 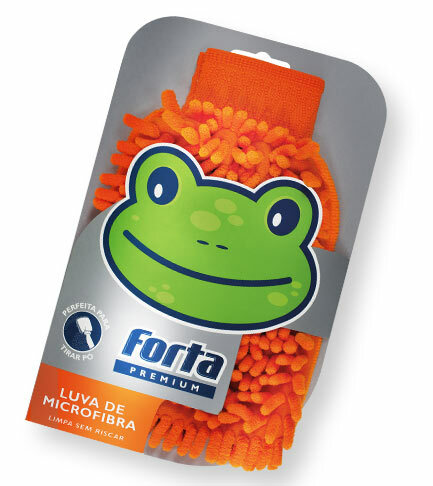 From the results of the studies we created cleaning products packaging design for Forta Premium. The line is formed by blisters for floorcloths, rubber gloves and microfiber cloths. The adopted layout is clean , with a clear appearance, in opposition to the excess of elements and information of some competing brands. The silver color background adds value and conveys and idea of quality to the products. 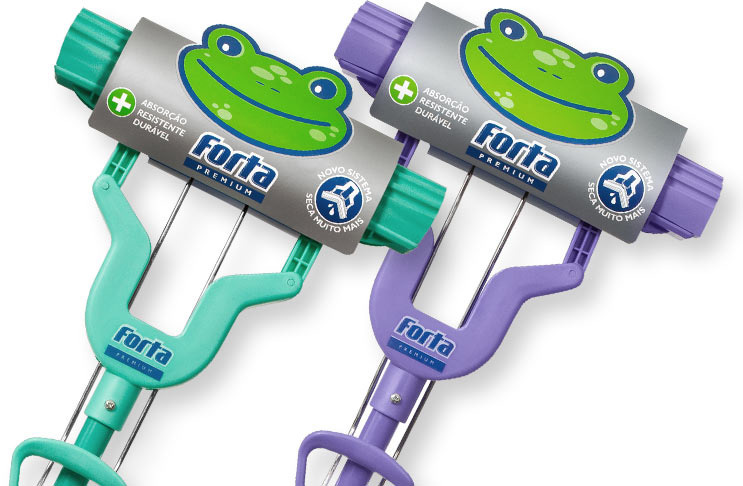 With a clean design it was possible to highlight the brand and enhance the playful icon – a nice green frog. We also created the products catalog. This piece works as a support material for the sales representatives. It shows products in a beautiful and organized way. 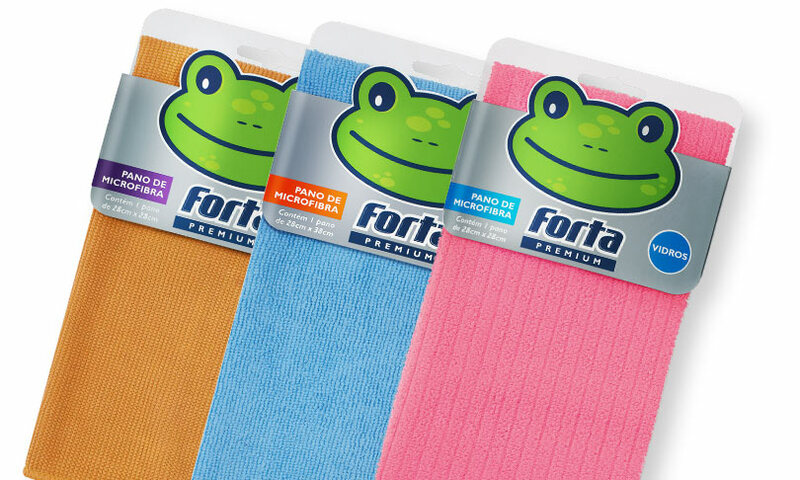 Finally, cleaning products packaging design for Forta gave the company higher emphasis in points of sale. The visibility, legibility and attraction power of the brand were maximized with the new layout creating new boosts in sales.